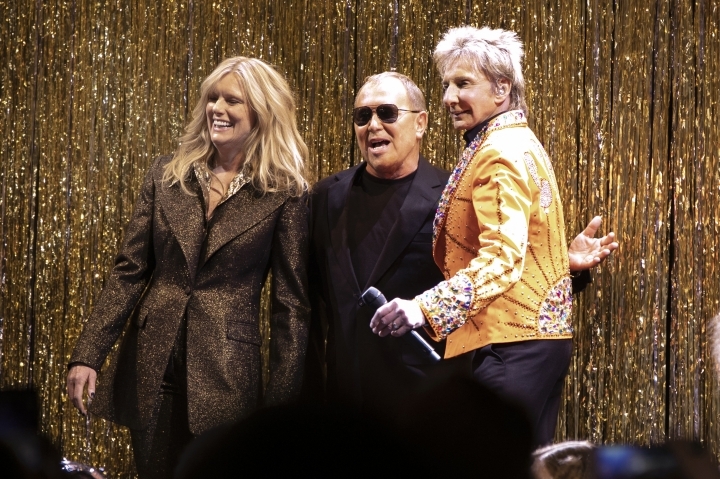 NEW YORK — Michael Kors threw a fashion show worthy of Studio 54 with Barry Manilow belting "Copacabana" on a glittery stage and rock muse Patti Hansen walking the runway Wednesday. 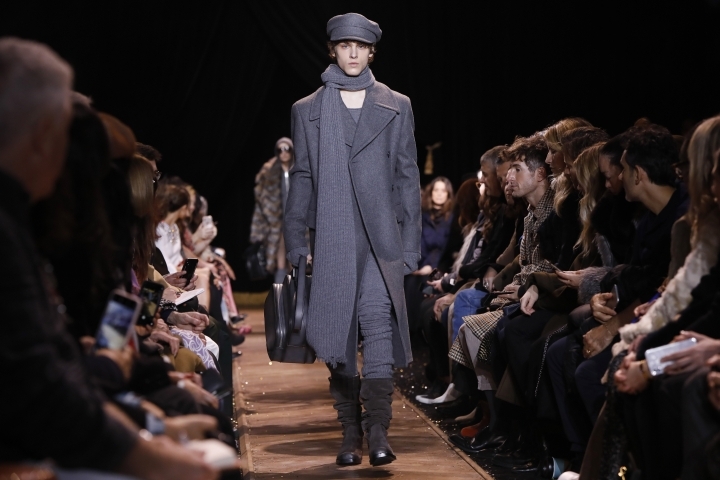 It's just what the fashion crowd needed on the eighth day of racing from show to show during fashion week, and the day after an icy snowstorm made that even more challenging. 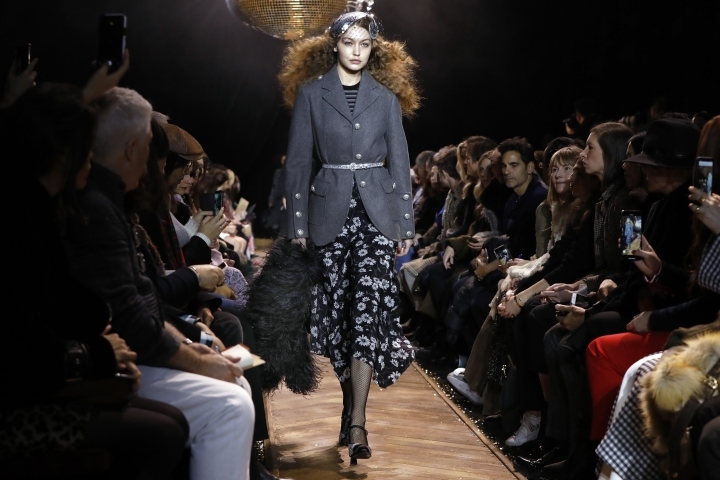 Kors fall collection celebrated the city's melting pot of style and the kings and queens of the era: Bette, Bianca and Baryshnikov among them. 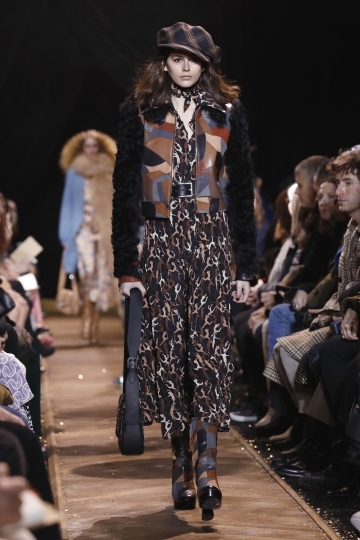 The designer's impeccable tailoring and eye for details were plentiful in the clothes, from his delicate slip dresses to a killer patchwork leather jacket with black shearling sleeves. 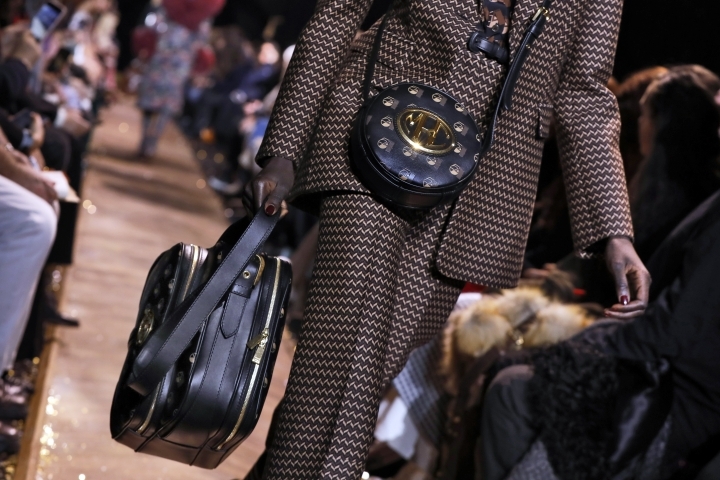 Hansen, a '70s superstar model, is married to Keith Richards and took her turn on the catwalk with a smile on her face, dressed in an iridescent trouser suit of black and gold. 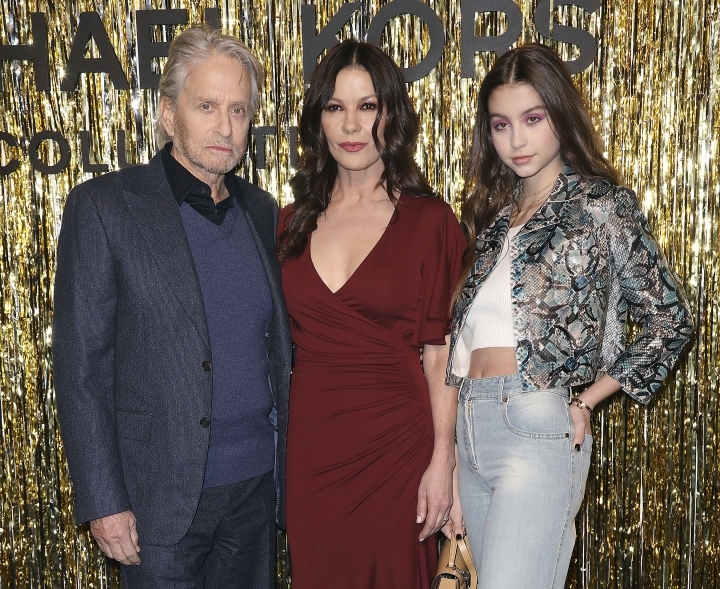 There was star power on Kors' front row as well: Kerry Washington, Catherine Zeta-Jones and her husband, Michael Douglas, along with "If Beale Street Could Talk" Oscar nominee Regina King. 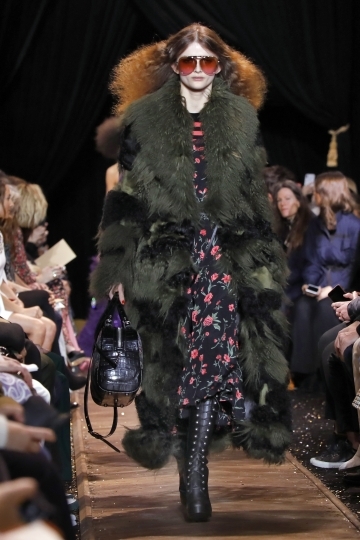 After the show, Kors called Manilow's appearance the cherry on the cake. "We met him exactly a year ago. It's very bizarre, backstage at a concert. 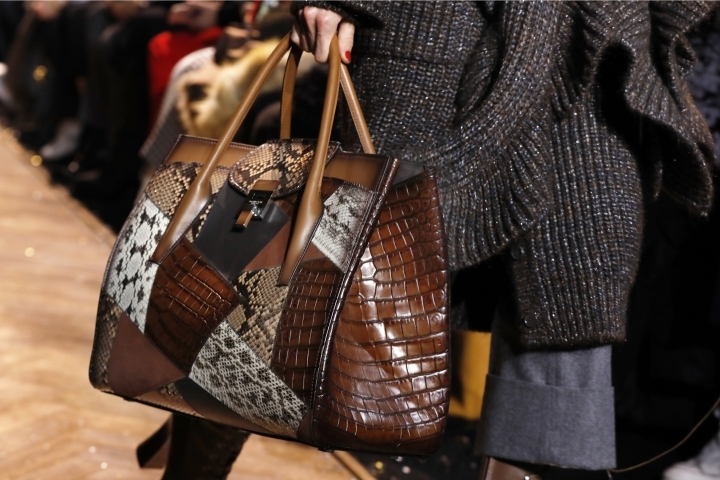 I like everyone else am a huge fan," Kors told The Associated Press. 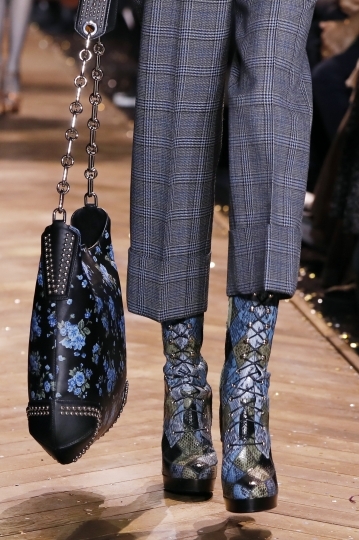 "I said to him, 'Have you ever gone to a fashion show?' And he said no. I said 'Watch a few of our shows on YouTube, maybe we can do something in the future.'" 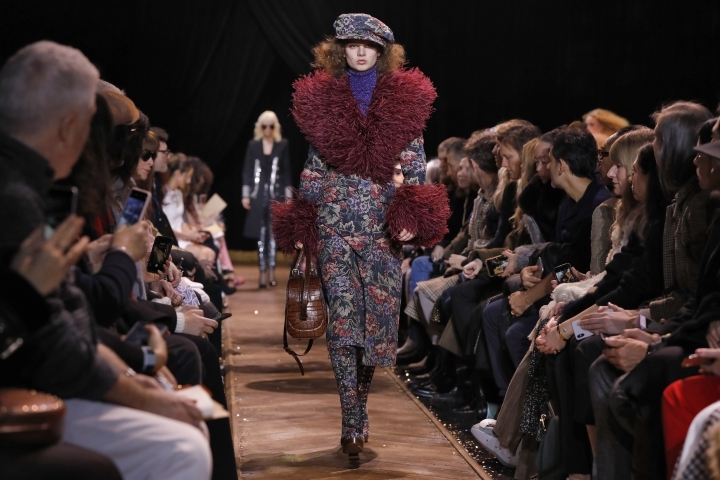 The theme didn't come together until Kors found himself perusing his old yearbook and got to thinking about his start in New York in the late-70s, and "just this whole convergence of glamour." At the time, the city was "pretty gritty and pretty dangerous," he recalled, "and music was a huge part of it, and dance. And Patti Hansen was all over my walls. 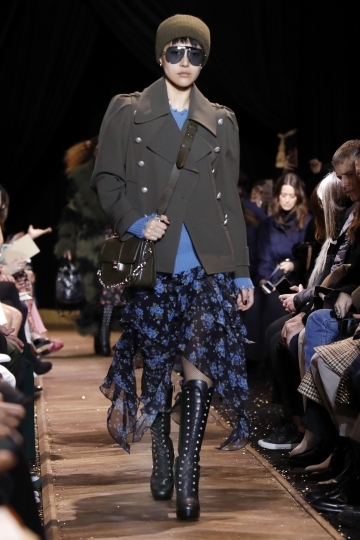 I think the last fashion show she was in was in 1994." 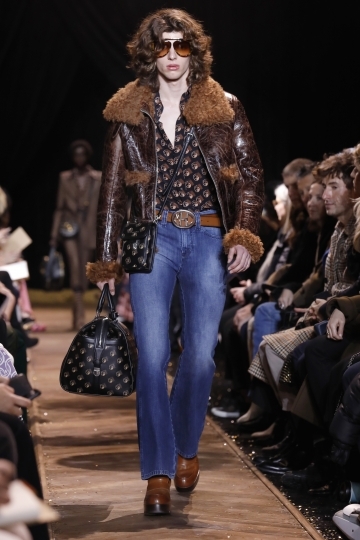 Ultimately, Kors said, he wanted to put together an optimistic collection. 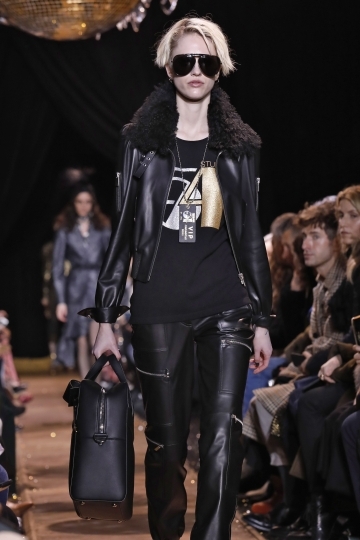 Perhaps his crushed satin charmeuse blouse in cocoa would boost your mood and not bust your budget. 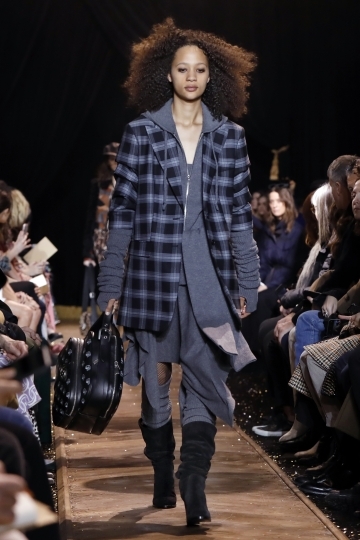 There were banker looks as well, in cropped plaid trousers and belted jackets. 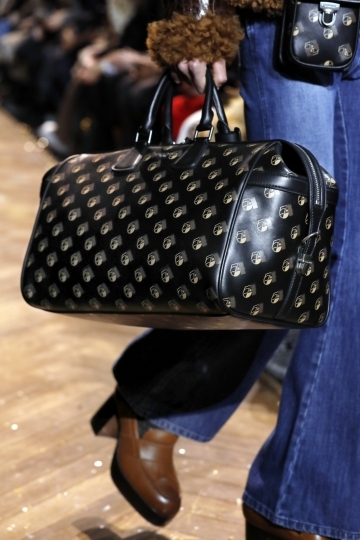 And, always, Kors showed a few great bags, for the shoulder and for a quick trip out of town.